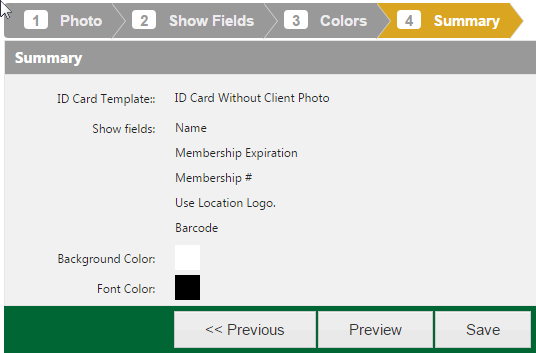 First go to the "Administration" tab and then chose the "Client Administration" section and click into the "Client ID Card Templates" field, as seen below. 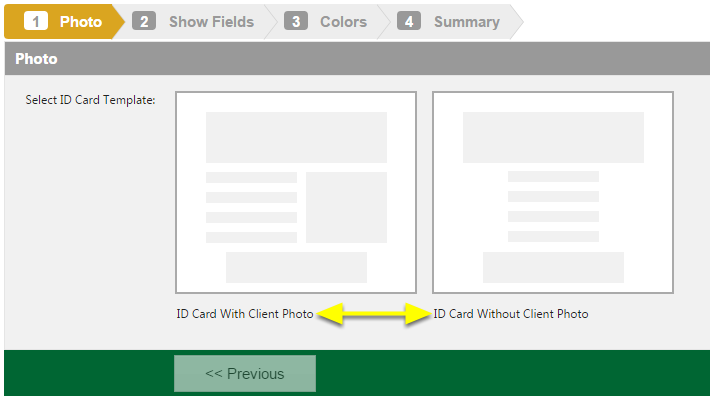 Once inside choose either an ID card with or without a photo of the client included. Now chose the fields that should be included on the ID card. After the proper fields have been included hit next button and choose the colors for the font and background. Once the colors have been chosen a summary of what will be included on the ID card appears. If the summary is correct hit the save button. 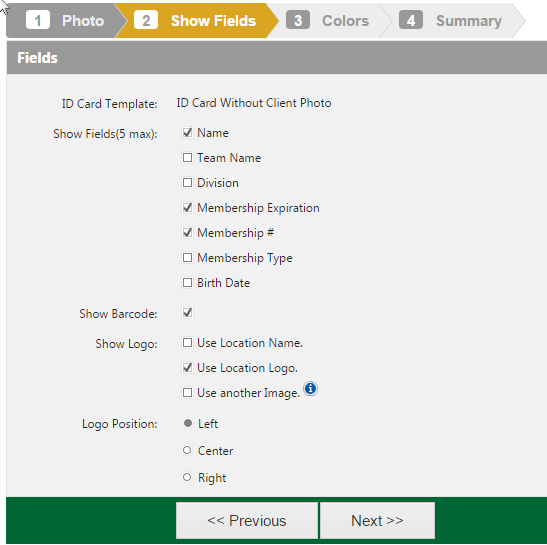 To print the ID card simply go to the clients personal information page and scroll to the "Membership Details" section and hit the grey "Generate ID Card" button. 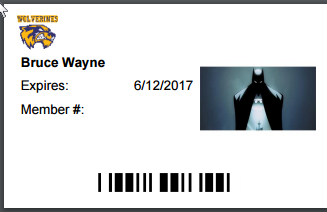 Below is the ID card for this example.